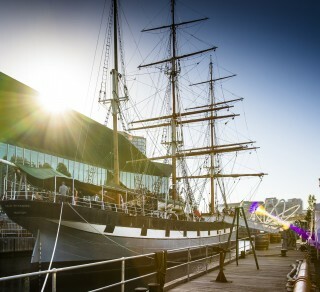 The Victorian Government is helping to revitalise our much-loved Polly Woodside. Minister for Planning Richard Wynne announced that Polly Woodside will receive $500,000 from the Living Heritage Program. Ms Kristin Stegley OAM, Chairman of the National Trust of Australia (Victoria) said: Polly Woodside has welcomed many visitors and schools since it opened in 1978, and as the National Trust celebrates its 60th anniversary, this grant is particularly significant, as it will help to ensure the long-term sustainability of the tall ship for future generations to visit and engage with their heritage.